When Virat Kohli was toying with the Australian bowling attack last night, the match was not the only thing that the Aussies were losing. Cricket's one of the most genuine all-rounder was also at stake for them. Apart from adding four runs to the total, every boundary that came out of Kohli's bat meant that Shane Watson's career would come to a standstill. 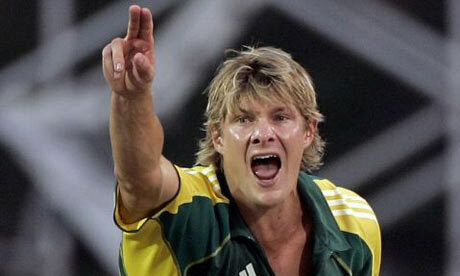 Shane Watson, 34, had announced his retirement from ODIs and T20Is a few days ago. The Australian team must have thought of winning the World Twenty20 as a retirement gift for Watson. But that thought was also proved wrong when they lost to India by 6 wickets in their last league match (more of an eventual Quarter-final). For Watson, ODI cricket was put in place 14 years ago when he ironically replaced his idol, Steve Waugh, against South Africa in Centurion. He was the highest wicket-taker for Tasmania in the Pura Cup and to go with it was his batting ability. Initially, he was selected for the test team but an ODI debut came much before the baggy green was handed to him. A 20-year old Watson failed to make any impact in his first match. He batted at no. 7 and did not manage to score more than 2 runs. He bowled first-change and registered figures of 6-0-21-0. Shane Watson during his early days in ODI cricket. A physique which would have easily made it into any fitness magazine started settling into the Australian squad in late-2002. But your strength often becomes your weakness and same was the case with Watson when he suffered three stress fractures in his back in early-2003. Thus, putting him out of contention for the 2003 Cricket World Cup. A promising career in cricket experienced lot of halts due to various injuries making him an all-rounder in true sense! But every hindrance brings with it a new opportunity. The back injury meant that Watson could take part in the domestic season as a batsman. Thus, upgrading his batting skills. He was recalled into the ODI side in the 2004-05 season and was handed the baggy green during the New Year's test against Pakistan in 2005. Watson's inclusion in the test side meant that Ponting could play both Shane Warne and Stuart MacGill as two frontline spinners. But like before, another injury ruled him out the side. He was once again reinstated into the side ahead of the 2006 ICC Champions Trophy. But this time as an 'Opener'. Opening the batting with Adam Gilchrist added a wholde different hallmark to his career. His high strike rate and straight hitting capability made him all the more dangerous. But it was as if injuries just didn't want him to settle in the squad. And it was because of these injuries that he missed most part of 2007 Cricket World Cup, 2007 ICC World Twenty20 and the whole of 2007-08 Australian season. Frequent injuries made sure that the bowling all-rounder slowly and gradually transformed into a batting all-rounder. The pressure of expectations increased on Watson as years passed by. His international career was more than 6-years old and yet he had not scored a century. Questions were asked as to why is he not able to convert his starts into big-ones. Finally, in June 2008, he scored his maiden ODI-hundred against West Indies. He scored three more in 2009, out of which 2 came in the Semi-final and Final of ICC Champions Trophy 2009 in South Africa. From the past year Watson had started dominating ODI cricket, which perhaps was due to his success in the IPL. He won the Man of the Tournament award (472 runs and 17 wickets in 15 matches) in 2008 when his side Rajasthan Royals won the inaugral season. 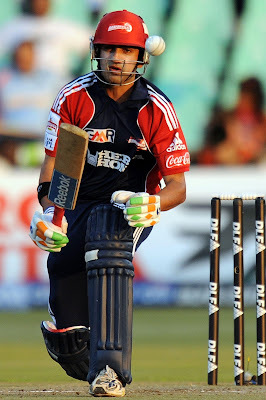 He remained a consistent performer for the franchise and won the Man of the Tournament (543 runs and 13 wickets in 16 matches) award again in 2013. He has also represented Brisbane Heat, Sydney Sixers and Sydney Thunders in the Big Bash League and Islamabad United in the Pakistan Super League. By the ICC Cricket World Cup 2011, Watson had cemented his place at the top of Australia's batting order. Australia lost to India in the Quarter-final but Watson finished the World Cup with 290 runs from 7 matches at an average of 48.33. He carried his form to Sri Lanka during the ICC World Twenty20 2012. Australia lost to West Indies in the Semi-final but Watson proved to the world yet again that he had conquered the art of performing in limited overs cricket. He finished the 2012 world event after scoring 249 runs in 6 matches at an average of 49.80 and taking 11 wickets in as many matches at an average of 16.00. In the ICC Cricket World Cup 2015, Australia emerged as champions for the 5th time. It wasn't the best of world event for Watson. In the 6 matches, he scored 208 runs at an average of 41.60 and took 2 wickets at an average of 85.50. Watson played his last ODI against England in Lord's last year. An injury ruled him out of the squad and indifferent form made sure that he was never called back. However, he was given the captaincy of the T20I side vs India earlier this year when Aaron Finch and Steve Smith left early for New Zealand. He opened the innings and scored 124* off 71 balls to make his case strong for the ICC World Twenty20 2016 and also becoming the first and only Australian batsman to score a century in all formats of the game. Watson bid adieu to ODIs with 5757 runs in 190 matches at an average of 40.54 and 168 wickets in as many matches at an average of 39.79. His highest score of 185* came against Bangladesh in 2011 when he registered the highest ODI score by an Australian. This innings also comprised of 15 sixes, another Australian record for most no. of sixes in an innings. In the shortest version, he ends up being the No. 1 All-rounder in ICC T20I rankings. In T20Is, Watson ends up being the second highest run scorer for Australia (1462 runs in 58 matches at a strike rate of 145.32). The numbers might not be touching the 5-digit mark but his value to the team was of more importance. His records in limited overs cricket speak for himself. If his batting didn't catch you, his bowling would (and vice-versa). Some may talk about his under achievements but they were mainly because of the injuries caused to him. A fully-fit Watson would have certainly dome much better over the years. His will to overcome all his injuries and his determination to play for Australia for 14 years depict a lot about his character. International cricket will miss one of it's best all-rounder but the glimpses of 'Watto Power' may still be seen in T20 leagues around the world.